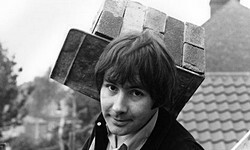 The front man of The Troggs died of lung cancer earlier this moonth. The Troggs is of course best known for the band's second single, the proto-garage-punk-uncivilised-rock classic "Wild Thing" written by Chip Taylor and released in 1966. Of Reg's self penned songs, in a very different direction, "Love Is All Around" is the most well known, allegedly written in about 15 minutes. It was a hit for The Troggs in late 1967 in the UK and spring 1968 in the US. It was later covered by R.E.M. in 1991 and Wet Wet Wet's smash hit version from 1994 turned Reg into a millionaire.